Grape Solar is an American company, incorporated in the States of Delaware, Oregon in 2009. The company is headquartered in Eugene, Oregon, Grape Solar sells a wide variety of solar panels mainly through the e-commerce channel for residential, commercial and utility segments. Besides Grape Solar Modules, the company also provides solar inverters and solar racking systems. Grape Solar was earlier known as Centron Solar, however, it was forced to change its name after a German solar company Centrosolar won a lawsuit over name infringement. Grape Solar then changed its name to that of a fruit inspired by the Apple success. The management of Grape Solar has very close relationships with Chinese solar panel manufacturers. Ocean Yuan the CEO was in discussions with several unidentified Chinese manufacturers about expanding his operations to include assembly of the South Korea and Taiwan-made solar modules. Born in China, Yuan is a naturalized U.S. citizen educated in Eugene at the University of Oregon. He’s had experience running an electronics contract manufacturing plant in China, and led the U.S. business of Chinese solar manufacturer Solarfun, before launching Grape Solar in 2009. Grape is a major importer of panels that are assembled into kits by the company’s 10-person staff in Eugene. The company then sells them directly to consumers through retail partnerships with major U.S. retailers Costco Corp., Home Depot and Amazon.com Inc.
Grape Solar sells directly to thousands of installers and consumers across North America in the USA and Canada. Grape Solar also sells through various well known, online channels and large warehouse retailers. The company provides opportunities to small to medium-sized solar installers – on demand, supply of solar modules. Grape Solar outsources its manufacturing process. It uses contract manufacturing in which solar panels are made in over 30 different factories worldwide. However, the company reserves its rights to design the specifications and set the quality standards for its panels. Grape Solar claims to be a pioneer in launching 280w panels – one of the largest solar panels with UL/CEC certifications in the USA in 2009. It was also the first to put Grid-Tied solar panels in front of consumers through a major big box retailer in the USA in 2010. All the Grape Solar brand solar panels are UL and CEC certified. Grape Solar has a blanket Grape Solar warranty and the original manufacturer warranty. The blanket Grape Solar warranty allows dealing with an American company in case any problems arise. If Grape Solar disappeared tomorrow the panels would still be covered by a strong warranty. The warranties are insured and backed by their contract manufacturers. Advanced encapsulation material with multi layer sheet lamination to provide long-life and enhanced cell performance. Grape Solar has a variety of Solar Modules to offer. 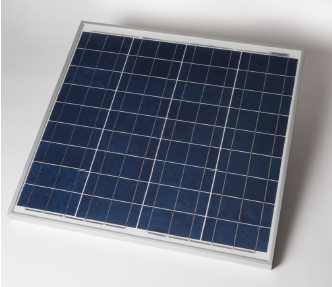 They can be categorized into Monocrystalline & Polycrystalline Solar Panels. Read more about Solar Panel Reviews of different brands.